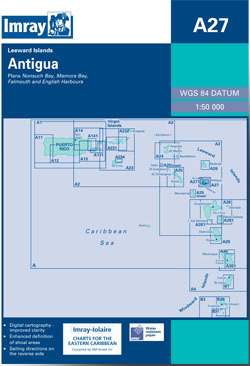 Antigua in the Leeward Islands. Scale: 1 : 57,600. Larger scale plans of Nonsuch Bay, Falmouth and English Harbours, and Mamora Bay. Flat chart, water-resistant paper.